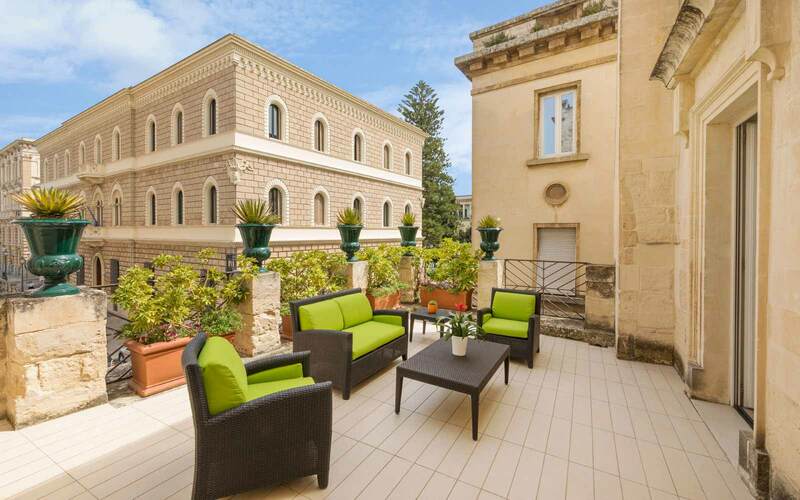 The Risorgimento Resort, one of the first hotels built in the historical city of Lecce, was inaugurated in 1880. After a restoration and refurbishment the hotel reopened its doors in October 2007. 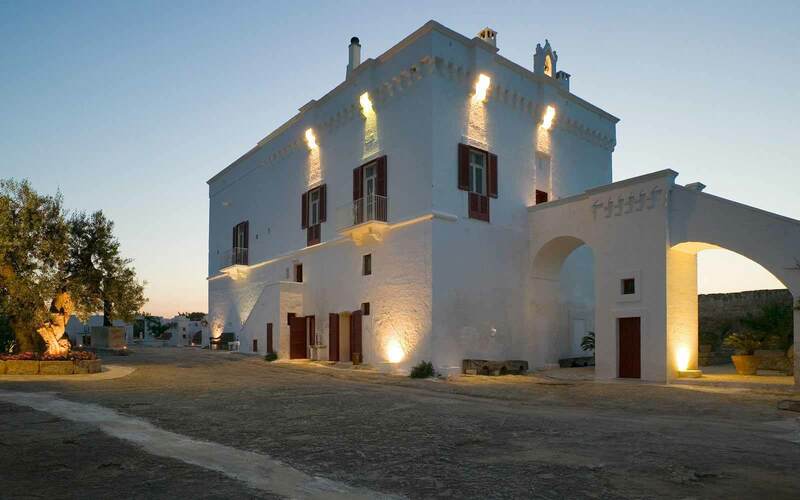 The architectual design and the modern features of the Risorgimento Resort set it apart as the leader of the town's accommodation. 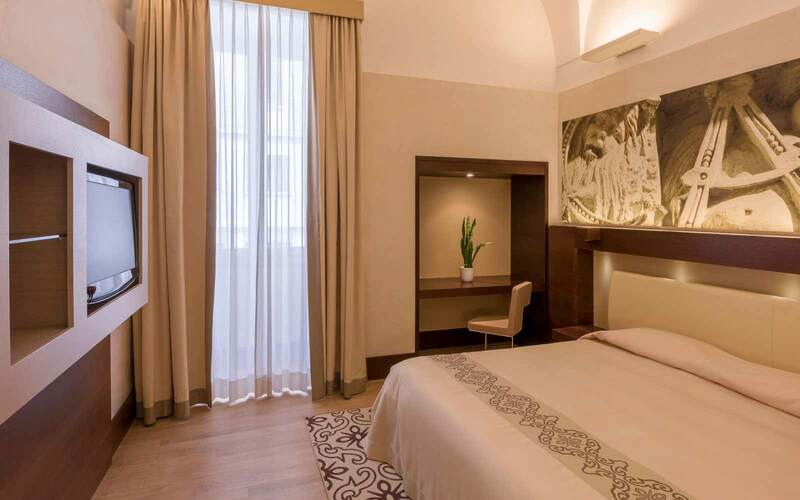 Located in the historical city centre, the hotel allows for easy access to the cities haute boutiques and nightlife. The Le Quattro Spezierie gourmet restaurant is a landmark of high-class gastronomy for not only the Risorgimento Resort but for the entire area. The restaurant has a seasonal menu featuring intense aromas and colours and has an extensive wine list which showcases the best of local, interregional and international wine. The "Janet Ross" is an exclusive and elegant lounge bar. 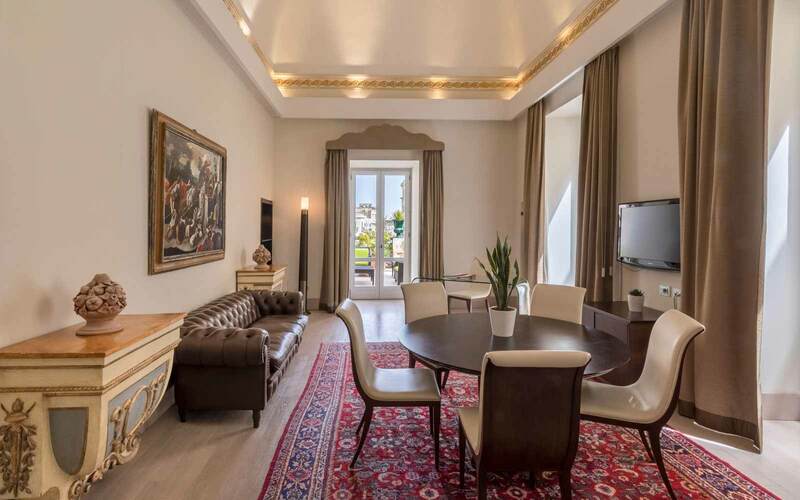 Its name is borrowed from a writer who, towards the end of the 1800s stayed at the Risorgimento Resort and reported her good impressions in her books. The lounge bar has therefore committed to proposing itself as the "longue of the city" a place for cultural meetings, small events and private encounters. 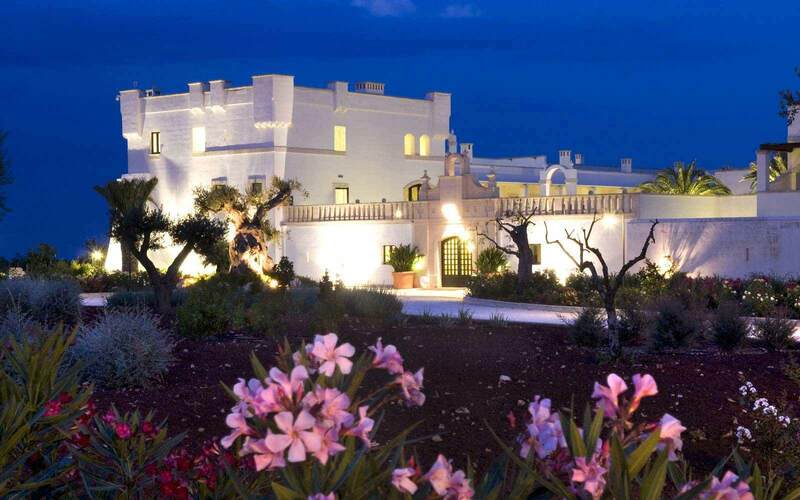 The Risorgimento Resort offers Spa, fitness area and massages. The Salus perAquam SPA is an oasis of wellness, created so that guests can relax and be pampered with beauty treatments while staying in the heart of the city. The SPA has a thermarium area consisting of: Turkish bath, chromo-aroma therapy showers, an area reserved for beauty and therapeutic and massages and a relaxation area for soothing the body and soul while enjoying herbal tea. There is also a roof garden, Le Quatrro Spezierie roof garden is a panoramic terrace with views of the city. The surroundings are evocative and soothing; the sophisticated decoris enhanced by carefully thoughtout detailing. In the evening, in spring and summer, the atmosphere transforms Le Quattro Spezierie into an open-air salon that is perfect for sipping a cocktail, listening to good music and admiring the city from above. Superior Room: Surface area from 25m2 to 27m2. 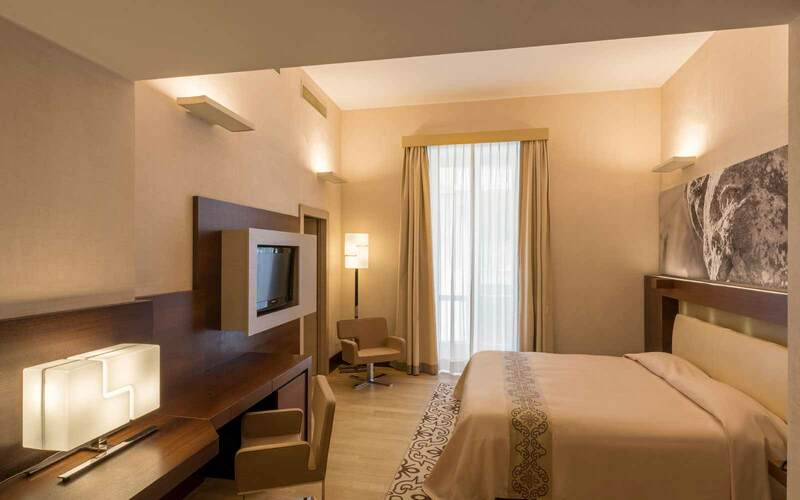 With carpet or parquet, the superior rooms emulate the distinctive colours of Salento: the beige of Lecce stone, the green of olives and the brown of the vines, to bring guests on a voyage of discovery of the area within the confines of the hotel. The views of the city afforded by some of these rooms are truly wonderful. 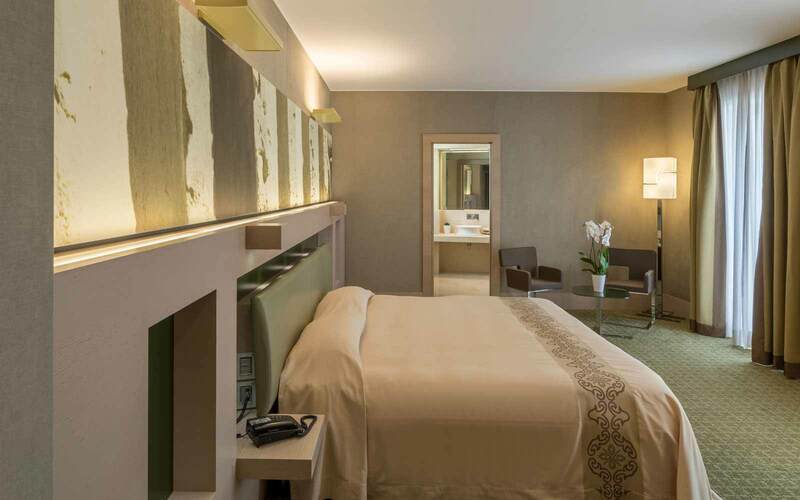 Deluxe Room: Surface area from 28m2 to 32m2 These rooms offer intimate and cosy spaces with warm and relaxing tones fitted with a queen size bed and comfortable seating. 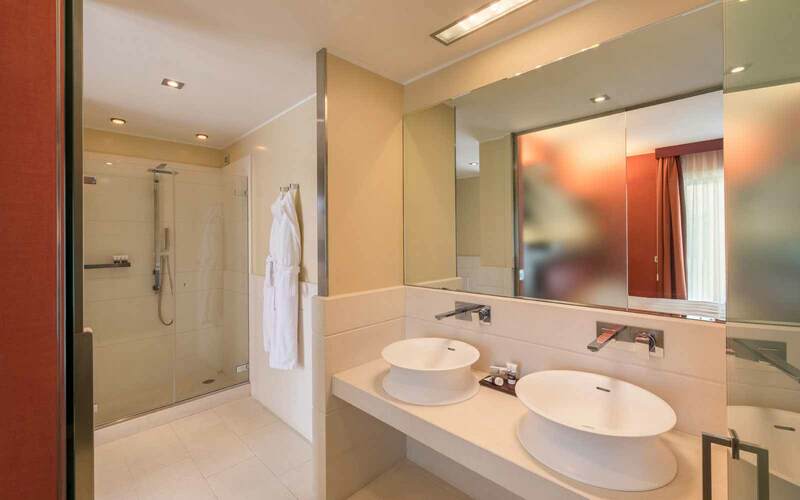 The spacious bathroom is fully lined in Imperial White marble and is fitted with mod cons. Executive Room: Surface area from 33m2 to 40m2 . The Executive rooms boast a king size bed and they have a private relaxation zone with two armchairs and a table. Some have splendid views over the city while others, for greater privacy, overlook the hotel's internal hall. 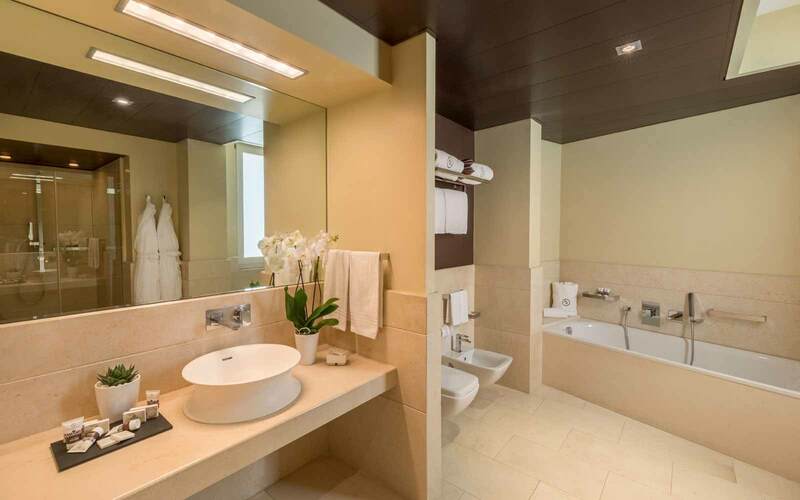 The bathrooms are completely panelled in marble Lecce stone, and have separate bathtubs and showers. Junior Suite: Surface area 37.6m2 . The Junior Suite consists of a salon with a sofa and a soberly furnished bedroom with all the comforts. 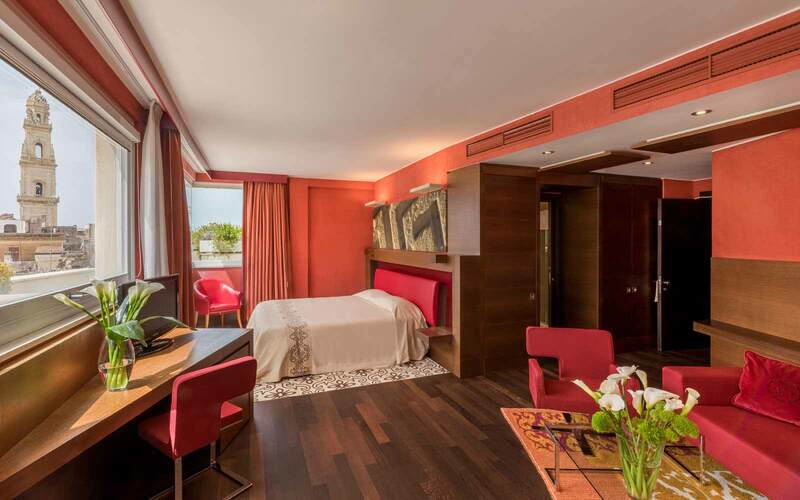 The bleached-oak parquet and the colours of the fabrics adorning the walls make the suite elegant and cosy. The extremely spacious and comfortable has a bathtub separate from the shower with its glass walls. Duomo Suite: Surface area 99.70m2 (excluding the terraces). 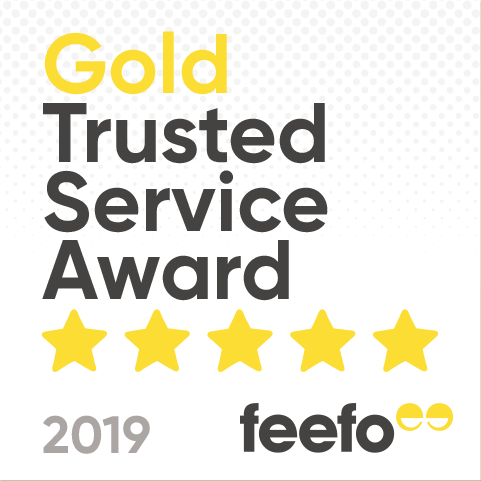 A beautifully furnished suite made up of a bedroom, an ample living room area and two other bedrooms, all with king sized beds; the luxury of three bathrooms to choose from, all lined in Imperial White marble with separate bathtubs and showers. 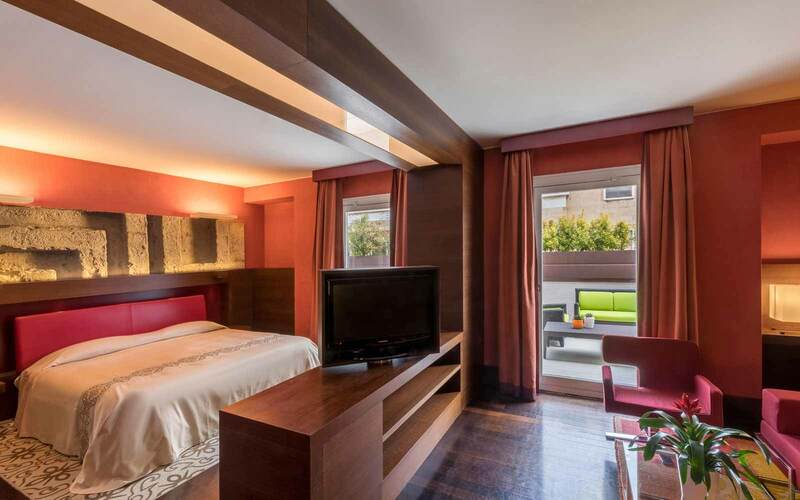 The room also comes with three private terraces with picturesque views over the city. Penthouse Suite: Surface area 42.3m2 with 30m2 terrace. Synonymous with unique style and elegance, the Penthouse Suites have ample bedrooms with king sized beds, a glass-fronted wardrobe and a living area furnished with comfortable seating. An exclusive area is dedicated to a hydromassage in the two-seater jacuzzi tub on a private terrace with its chaise lounge in the solarium, ideal for enjoying an open-air breakfast. Presidential Suite: Surface area 63.3m2 with 30m2 terrace. 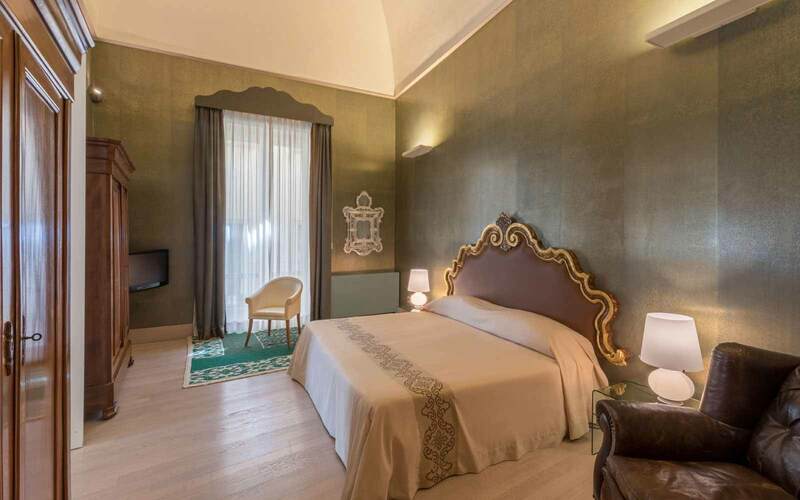 Dedicated to the tenor from Lecce it consists of a large bedroom with a King size plus bed, two wardrobes and a harmoniously-designed desk. The living room, renovated while keep its original frescoes, is elegantly furnished with antiques from the late 1800s. The enchanting private terrace is ideal for candlelit dinners while admiring the Roman Amphitheatre from above. 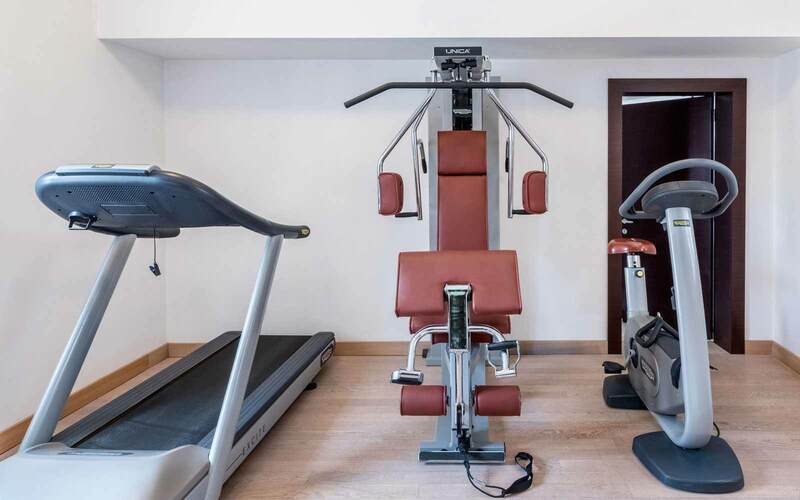 Room Facilities: Wi-fi connection, satellite TV, minibar, telephone, safe, air-conditioning, desk with cable internet connection, key card access. Marble bathroom with accessories, shower and bath.